If you love traveling, there are lots of countries that are worth to visit in 2018. Of course it’s impossible to forget China which is the world’s most populous country full of mystery and adventure, remember alluring South Africa with its beaches and mountains, wildlife and wine, vibrant culture and cosmopolitan Cape Town, or think about Sri Lanka with its delicious albeit spicy food, stunning ancient rock formations in Sigiriya, and extreme surfing at Arugam Bay. Our today’s WordPress themes collection is devoted to traveling, beaches and pools – anything you like about recreation, resorts, taking a rest, having fun and entertaining. So just browse it and enjoy! Would you like to travel to New Zealand this year? Its sweet suite of trails, the Great Walks, encouraged exploration of the exquisite topography, taking tramping travelers through some of the world’s most extraordinary wilderness. Malta is also a great variant to travel. Its prehistoric temples crown hills, 17th-century fortifications stalk the coast, and a warren of tunnels – from catacombs to air-raid shelters – dig deep underground. 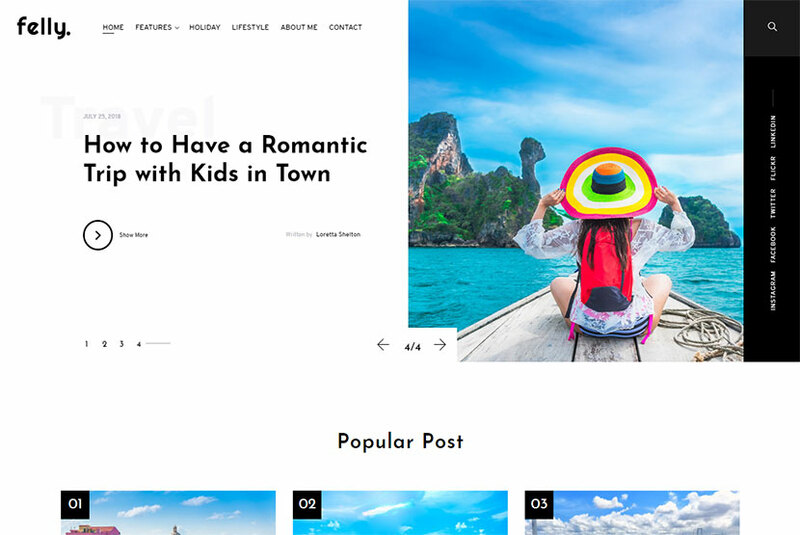 This is a feature-rich travel and fashion WordPress blog theme perfect for a holiday, travel information, hotel, accommodation, surfing or destination themed websites. The theme’s features include two homepage layouts, 4+ blog styles, 10 post formats, smooth CSS3 animations, WPBakery page builder integrated, Slider Revolution included, Contact Form 7, advanced admin panel, sticky header, fullwidth and boxed layouts, and many more advantages. Do you like surfing? Surfing is defined as sports of riding the surfboard and breaking the waves of the ocean or sea towards the shore. The roots of surfing lie in pre-modern Hawaii and Polynesia, where this sport was practiced by both men and women from any social strata including both royalty and commoners. By the end of the 19th century, surfing was practiced in Hawaii from time to time. Today it’s a very popular sport at any seaside and many beaches near the ocean. 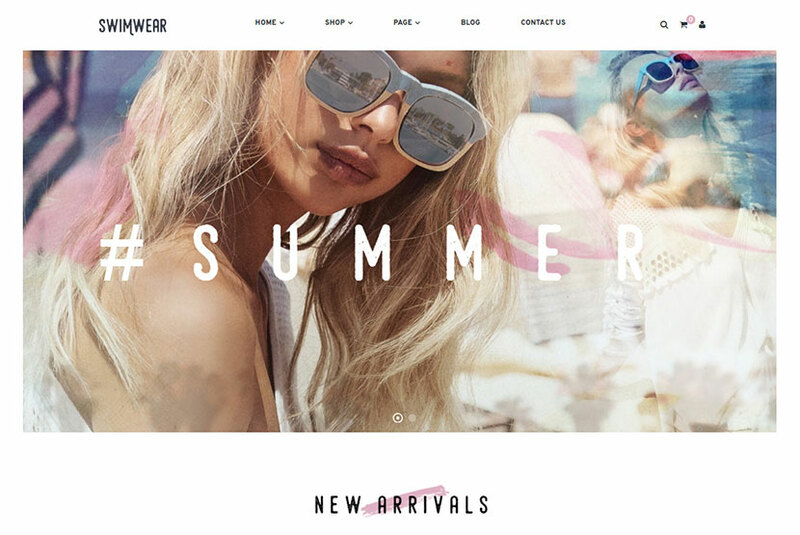 This is a fresh and tidy WordPress theme which will be cool for running a modern blog devoted to summer and beach activities or pool parties. It comes both in light and dark versions and contains a bunch of amazing features. 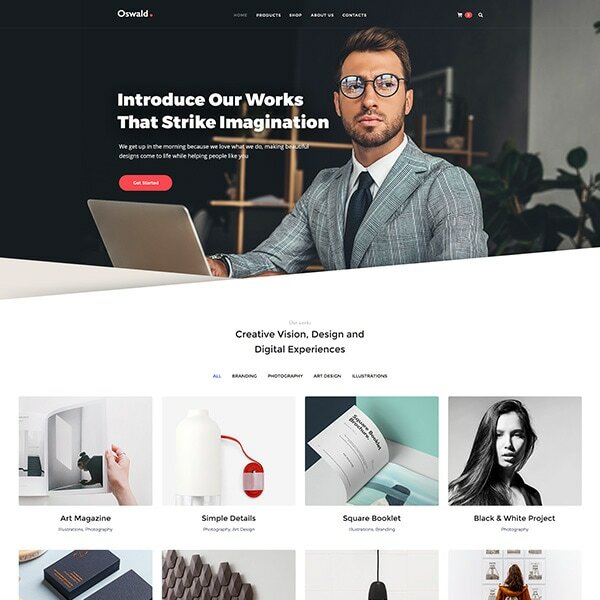 So it has a creative and easily customizable design, includes Elementor page builder, supports Contact Form 7, easy font customizer, boasts WooCommerce support, responsive CSS layouts, and more features. Pool is a great gathering space for people with their friends and families. It’s a good way to relax and have fun throughout the season. In some pool clubs the facilities include locker rooms, a snack bar, indoor game rooms, poolside bar on summer weekends, etc. Special events sometimes suppose weekday barbecues, teen nights, adult exercise classes and early morning swims. 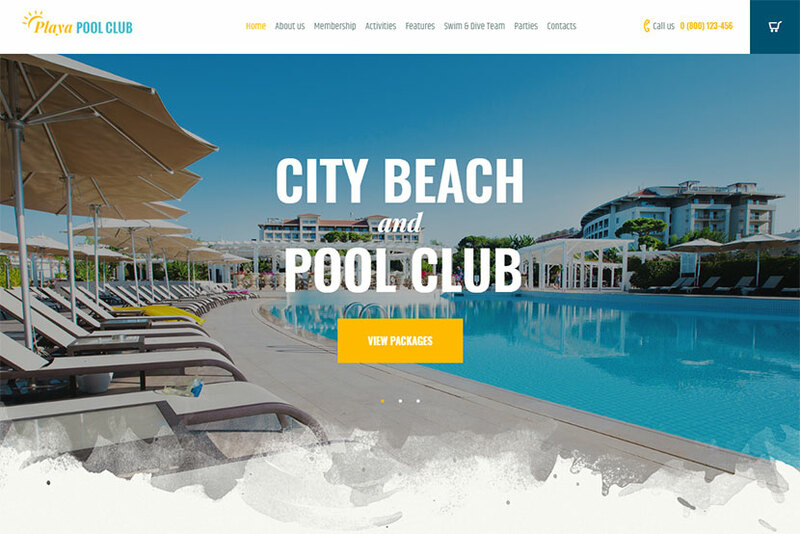 This vivid and sunny WordPress theme is intended for a city beach, a beach club, an outdoor pool club, a summer resort or a water park. It comes with dozens of pre-defined layouts and a host of features like WPBakery page builder, WooCommerce support, portfolio feature, easy-to-use Event Calendar to showcase what’s coming up at your beach club, various layouts of the news and photo galleries, and much more. Do you like pool parties? They are usually fun and awesome. They mean bikinis, plenty of booze, and wild celebrations that give the rowdiest nightclubs in the city. Pool parties are one of the most actually fun things to do on weekend, so plan right, pump your fist, and dip your toe in the waters of the best day clubs and pool parties in your locality. This sleek and beautiful WordPress theme is available for promoting a pool party, beach party, private party, EDM party, night club, carnival, camping or festival, etc. 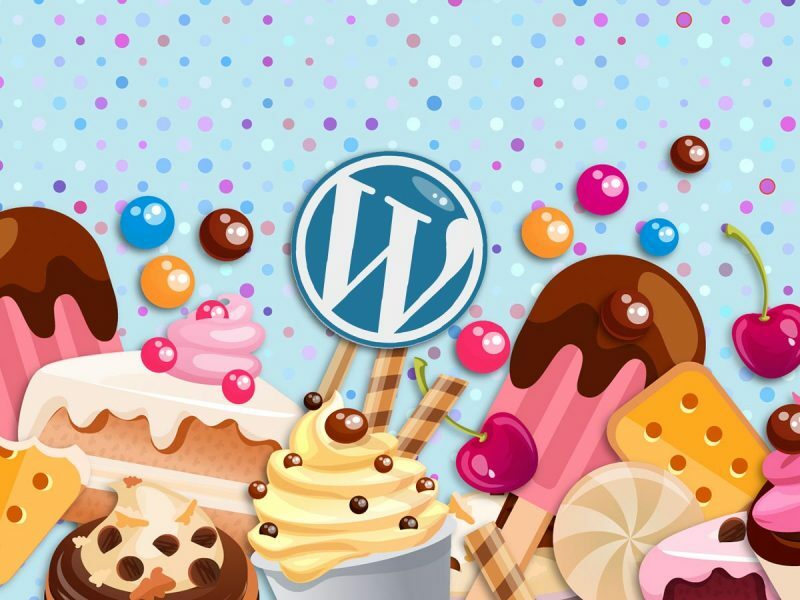 The theme comes compatible with WPBakery page builder and Revolution Slider as well as includes a bunch of useful features. 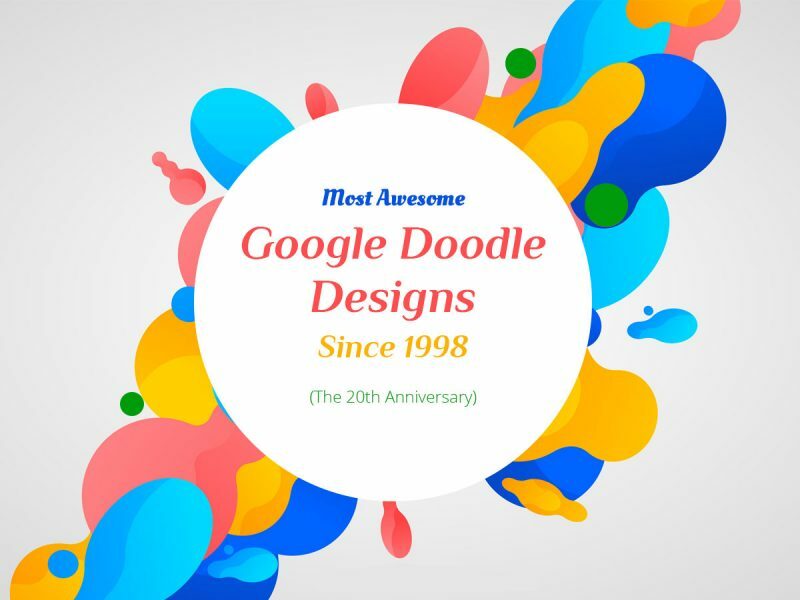 It includes stunning homepages, a sticky header, tap-to-call for mobile devices, Contact Form 7, an ability to choose between Captcha, checkboxes, select inputs and much more. What are the cheapest places to travel in 2018? We can say one of them is Albufeira, Portugal. This is a really affordable and sun-soaked vacation. Beautiful climate, fabulous beaches, inexpensive apartment-style hotels – all of this is possible to find there. Another best place to travel cheap is Zanzibar. This is more budget friendly than you think as well as an absolutely beautiful place. Jungle waterslide and pool floaties of Zanzibar resorts are worth to see. Altair is a comprehensive WordPress theme which will suit for travel agency or travel blog website. It comes with clean and modern design as well as 6 tour content page templates both with fullwidth and fixed width layouts. Other features of the theme include drag-and-drop content builder with different modules, instant ajax search, sticky main menu navigation, off-canvas mobile navigation, tours with advanced search option, booking & contact forms support, unlimited tour and gallery pages, WPML compatibility, Revolution Slider, and more. Saint Martin is another great place to visit quite cheaply. This is a unique Caribbean island which is half French and half Dutch. It was devastated by Hurricane Irma but today it’s on the mend, so there’s no reason to worry. Another place to visit at affordable price is Naples, Italy. Naples is one of the oldest cities on the European continent, and it is filled to the brim with intriguing cultural sights and monuments. 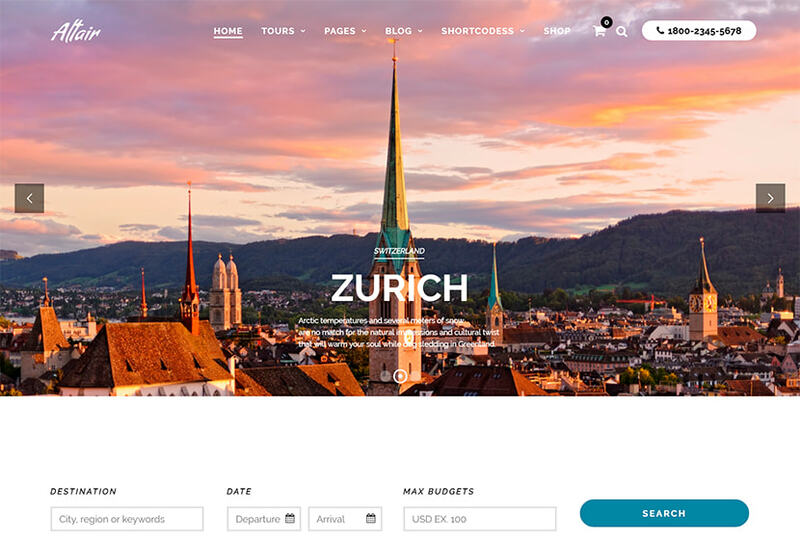 This is a cool WP theme devoted to traveling and available with 6 amazing homepage layouts coming with fresh design approach and appealing concept. 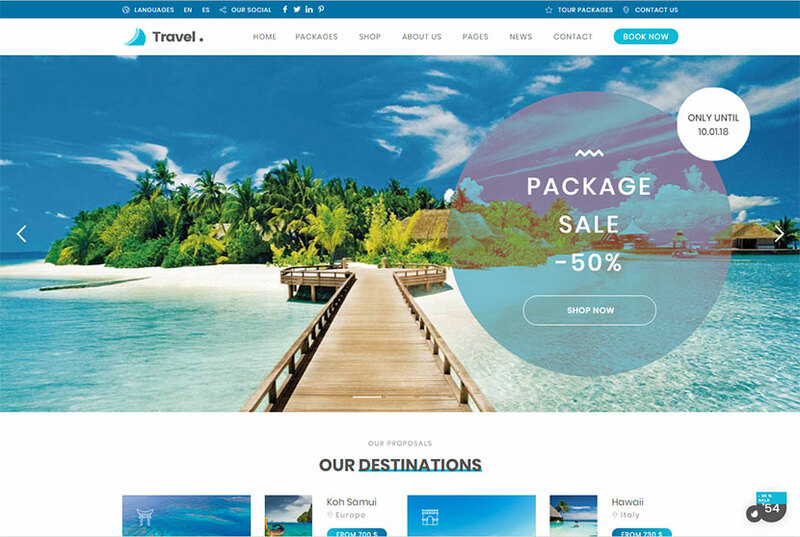 The template will suit for all travel related websites including hotels, resorts, honeymoon, cruise, and much more. 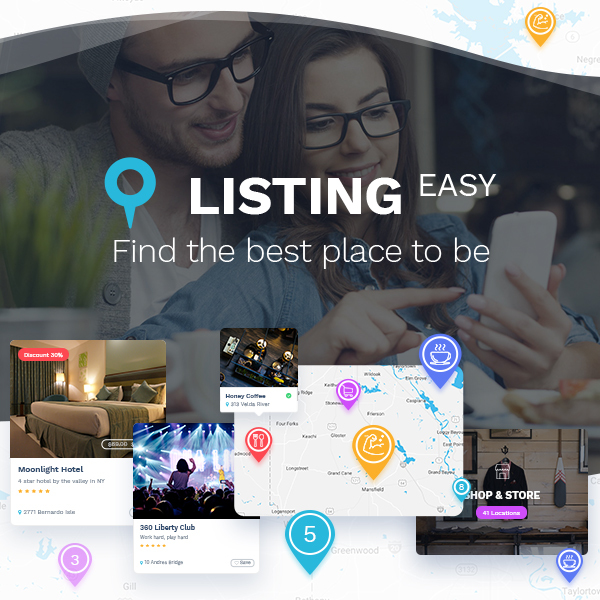 Powerful theme options, WPLM compatibility, RTL support, boxed and wide layouts, unlimited color skins, header sticky zoom, parallax image, video background, and many more features are available. The Cook Islands is another cool place to travel to without making your wallet empty. They are made up of 15 islands and less than 100 square miles, so this is everything you’d hope to find in the South Pacific. Lush tropical beauty, vibrant reefs and a Polynesian vibe are both traditional and modern. Is there something else? Of course! Dubrovnik, Croatia is also a great cheap place to visit this year. This Adriatic gem encircled by massive stonewalls is hard to resist. The city’s streets are paved with limestone, so they look amazing during hot summer days. 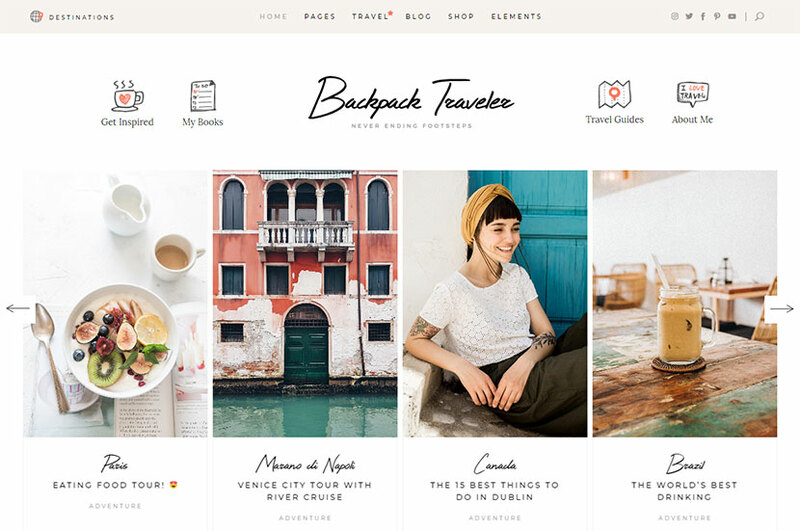 Any traveling company or a traveling blog owner can take this WordPress theme for their needs. It comes with package filtering system, Contact Form 7, localization support, SEO friendliness, boxed and wide layouts, PayPal payment gateway support, live color changer, unlimited colors and sidebars, 6 footer layouts, 3 blog styles, 6 custom post types, and many more features. What are other best countries to travel in 2018? I guess one of them is Chile. This country is a sinewy sliver of a nation with its disparate extremes to the ever-trendier capital of Santiago at its heart. Another great country to see is probably South Korea which is a compact playground of Asian modernity. The futuristic capital city, Seoul, includes a lot of attractions including a high-line park with cafes, bars and libraries along a disused elevated highway. 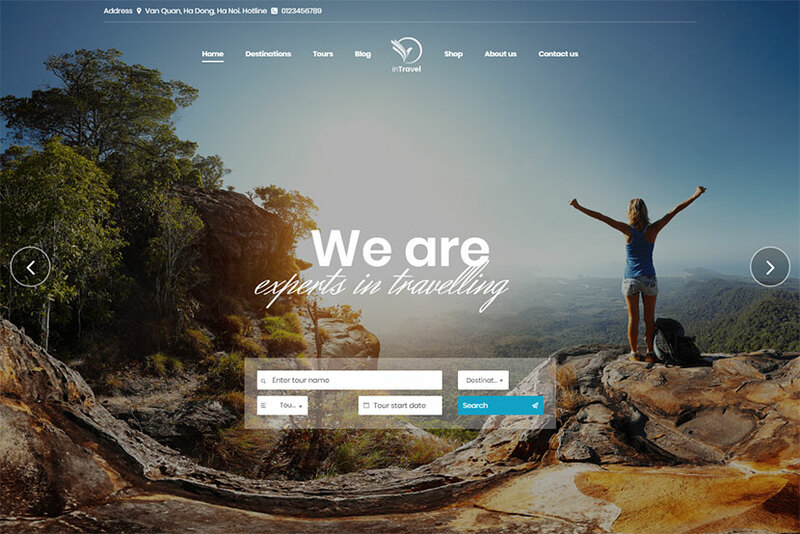 This is a WordPress theme suited for multiple purposes related to traveling. The template has been designed using the 1200 px grid system with 12 columns. It comes with dummy content you can replace with your custom one, Revolution Slider for creating awesome presentations, filtering system with booking functionality, sticky menu, Contact Form 7 support, jQuery UI, and many more features. A great country to visit is Portugal. It is a dynamic center for art, culture and cuisine. A spate of artfully designed museums, rock-star Portuguese chefs creating culinary buzz, and glittering beaches of the Algarve – are worth to experience. Djibouti is another splendid country to see this year. Its magma seethes beneath ever-thinning crust; martian-like deserts spew steam from fumaroles; and sunken lake shores glisten with huge salt crystals. This is a multipurpose traveling related WordPress theme which comes with 6 different homepage views, multiple blog layouts, dozens of shortcodes, and many more features. The template comes with lots of customizations options and responsive design. It comes integrated with WPBakery drag-and-drop page builder and it is extremely easy to edit without any coding skills. Georgia – another great country to get acquainted with. Forward-thinking but proud of tradition, this is a country of ancient recipes cooked up in tucked-away taverns where toastmasters raise glasses of spirits to honor old and new heroes. And if you are looking for a brochure-perfect island idyll, visit Mauritius. This is justly famous for its dazzling sapphire seas and luxurious beach resorts, where the watery fun includes coral reef dives, kitesurfing, sea kayaking and lagoon cruises. If someone is about to visit the beach in any country they’ve resolved to travel to, then choosing a suitable bathing suit is a compulsory thing. This WordPress theme will be perfect for creating a website for selling swimming and bathing suits, aqualungs, chaise longues, and any other diving and beach equipment. 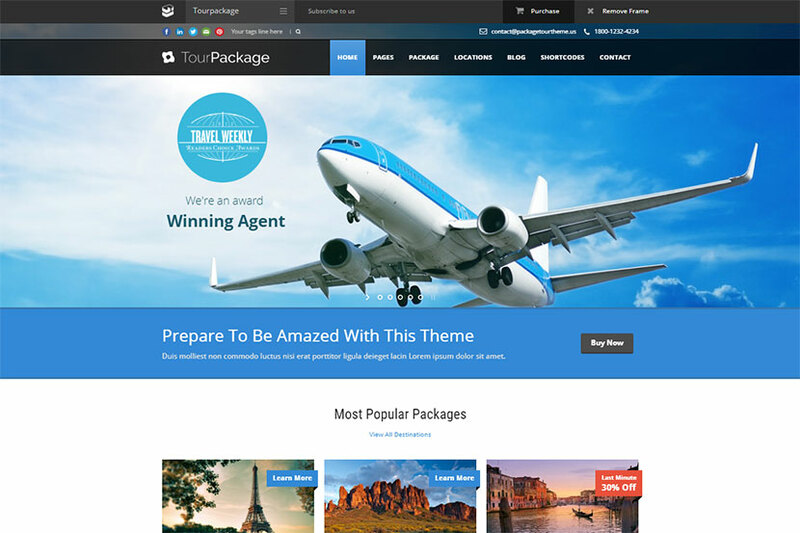 The theme includes 3 homepage templates, integrated King Composer page builder, comes with multilingual and RTL support, blog and portfolio styles, and many more features. What do you know about kitesurfing? Actually, this is a great way to tune into nature as well as an exciting and intense sport. Your body and senses must be fully aligned with not only the waves, but the wind as well. Any kitesurfer knows the most exciting destinations which should be visited both by the experienced kitesurfer and a relatively recent devotee. Such places as Cape Hatteras (North Carolina), La Ventana (Baja California), Maui (Hawaii), Boracay (Philippines), and Nabq (Egypt) are perfect for kitesurfing. 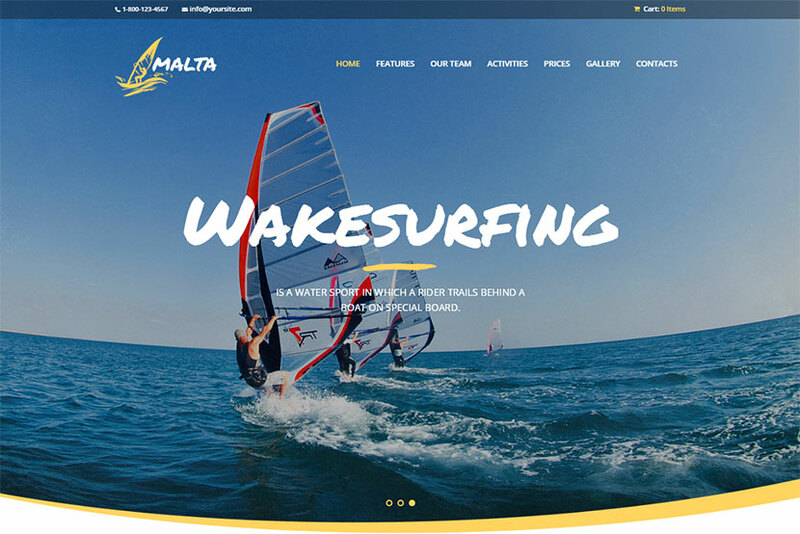 This is a cool WordPress theme dedicated to water activities and organizations like windsurfing, kitesurfing, wakesurfing club, canoeing, diving center, beach volley or waterskiing community. The theme is fully compatible with WooCommerce, so it allows to create an online store to start selling surfing equipment and services. Revolution Slider, Essential Grid and WPBakery page builder are awesome plugins integrated into the theme. Water sports are adventurous, fun-filled, action packed, and exciting. Both, physical exertion and mental stimulation can be attained in water sports. They offer a visual treat, motivation, and an elated feeling. Water sports can be played in, on, or under water. Swimming, surfing, windsurfing, kitesurfing, jet skiing, wakeboarding, water skiing, cliff diving, skimboarding, triathlon, and many other water sports types are worth to try your hand at. 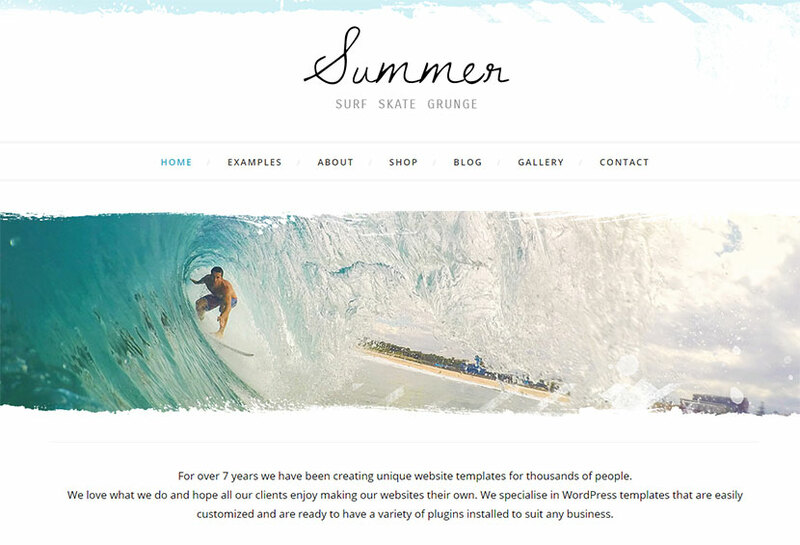 This WordPress theme is especially made for beach-based activities and businesses. Whether it is a surf school in Hawaii or diving classes in Bali, Shaka has you covered. Its features include real-time customizer; widgets for opening hours, job positions, and pricing tables; WPBakery drag-and-drop page builder integrated, Slider Revolution and Layer Slider, WPML support, and many more. Wish you great vacation this summer!